We are living in an informational age and as such it is important that you know what is out there about you. Conducting a criminal background check will no doubt help you to be aware of what is circulating around in cyber space that is attached to your name. Based on statistics, identity theft is increasing steadily and you would not want to be caught in this situation. Besides from personal reasons, these searches are done for other important reasons. It is used as a point of reference for employers in most industries when considering prospective employees. This is a process of researching and compiling all information for an individual or organization including criminal history, financial history. This is normally done by employers on individuals they are considering for employment especially for a high level position. Large institutions such as schools, hospitals, financial companies, airports and government agencies predominantly request this type of information. This process is more than just checking if the individual has a criminal history. It also verifies the prospective employees qualifications, character, fitness level depending on the position they are going for as well as any potential risk that they might pose to the organization. They are also done to pick the most suitable candidate for the job. Employers have a responsibility to ensure that their workplace is free from anything that has the potential to affect the development of their organization as well as tarnish their reputation. A criminal history search is also done on prospective employees by employers but before they do so there are certain procedures that they need to follow. Before employers initiate such a search they need to get written consent from the individual before they proceed. Upon receiving the permission, the next step is providing the personal information of the individual such as their full name, social security number as well as their date of birth. They also need to indicate the scope of the search, meaning that they will need to state the database that they would like to check for the information. They can choose to search the FBI’s system, a specific state or county database or both. The employer will then submit the form along with the fee that is charged, it can be either a check or money order and they also need to indicate how they would like for the result to be delivered. The procedure as well as the fee may differ based on the state or county in which you are doing it. Here are a few of the things that are included in a background check. In addition to these information employers may also use an employee questionnaires as well as the job application to gather more information on the prospective candidate and decide if they will hire them. If you have a criminal record and it comes up in the background check for employment, it can certainly prevent you from getting the job as well as work in certain industries. It is necessary to ensure that any incriminating information that is out there about you is hidden from potential employers so that you can get the job. If an employer conducts a police background check and finds that you have a criminal record it does not mean that you will not get the job. The U.S. Equal Employment Opportunity Commission (EEOC) has made some provision that protects citizens who have a criminal record so that they do not face any discrimination. 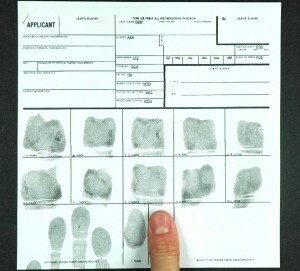 The use of an individual’s criminal background to prevent them from getting a job may violate Title VII of the civil rights act of 1964. It can be applied in the case of employers treating applicants with similar records differently. The EEOC explicitly state some considerations that employers are to use as a guide for individuals bearing a criminal record. The nature and severity of the offense must be factored. It may be the case that the individual just have a misdemeanor. They are generally treated lesser than felonies and are mostly punishable by fines. Some common misdemeanors include petty theft, public intoxication, simple assault, vandalism, possession of small amounts of marijuana among other crimes. The time that has lapsed since the offense occurred. The individual may have committed the crime as a teenager or young adult and has changed their life. If it is that from that time they haven’t had any other offense then certainly the employer can make an exemption for such an individual. The nature of the job. Considering the type of job the employer can make an exemption as long as the crime that the individual do not reflect any threat that he or she might pose to the organization. The act makes provision for such as situation where people might be denied a job based on information employers obtain in a criminal background check. This ensures that they are still able to function effectively in the society. These situations are not unique to one individual and as such the EEOC provides support to organizations by equipping them with numerous case examples that they can use as a guide when making such decisions. The act is also a guideline for best business practices for employers. Also, if you have suffered the burden of being denied employment due to your past records, look for other ways erase criminal records. I love helping people start a new life and expunge their past mistakes..